Granted, a majority of the stadium has yet to be filled. 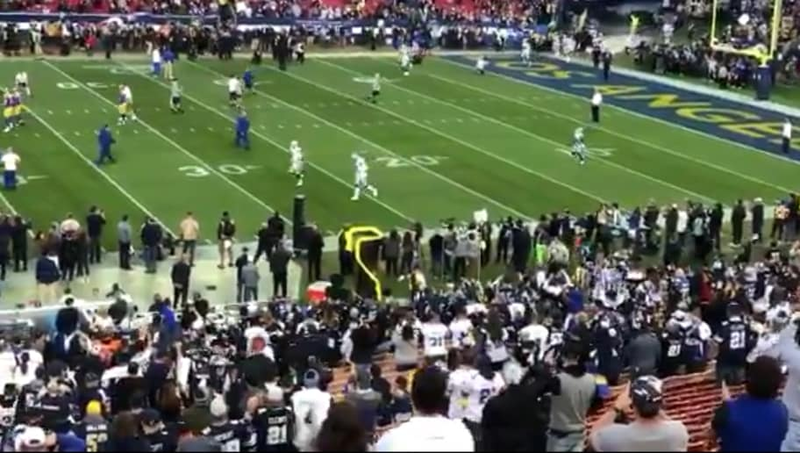 Even so, the Cowboys fans could very well make up most of the attendance. In fact, former NFL running back and Rams Radio Network's Maurice Jones-Drew estimated that 65 percent of the fans for warmups were cheering for the Cowboys. Rams head coach Sean McVay urged season ticket holders to not sell their seats to Cowboys fans, since they are looking for homefield advantage. It appears that plea was all for naught, as the Cowboys feel pretty at home all thanks to this rather warm reception at t​he Coliseum.